In August 2013 production of aircraft components at the old Hawker de Havilland Bankstown factory ended after 70 years. The first Mosquito came of the production line in mid 1943. Boeing Aerostructures Australia’s NSW facility was on the way to its closure in December of that year. Ironically, the very last aircraft activity of any sort in B-Hangar, where the Mosquito final assembly line had been located, was the disassembly of Vampire T.22, XA167. The original hangars (A, B and C) that made up the De Havilland Aircraft factory were built in 1942. Widely published are photographs of the Mosquito line at Bankstown, where the back of B Hangar (also ‘Building 12’) almost disappears in the distance. With an area in excess of 12000sq m, this is the largest of the buildings on the site. The hangar went on to house final assembly lines for the Vampire, Drover and Blackhawk. 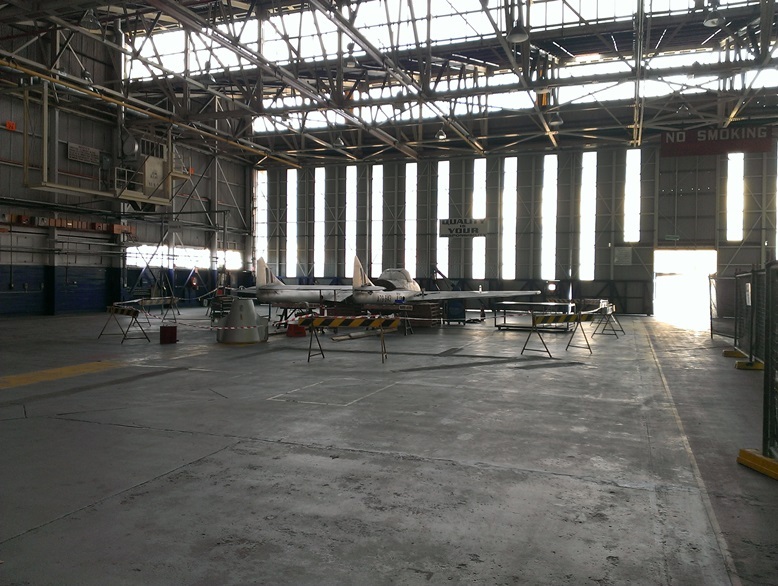 Recent news is that the hangar is being totally re-clad (to remove the asbestos) and divided into four. There has not been a tenant since Boeing Aerostructures Australia moved out of the hangar at the end of last year. The Australian company De Havilland Aircraft was renamed Hawker de Havilland in 1962, as result of the rationalisation of the British Industry, and the company’s parent being Hawker Siddeley Group. After a couple of other changes of ownership (BTR and then Tenix), Boeing bought the company around the end of 2000. The next name change didn’t come until 2009 – to Boeing Aerostructures Australia. Production of aircraft components by the company continues in Fishermens Bend. By chance, XA167 (painted as A79-642) was positioned by crane for disassembly at the very location of the original local Vampire production line. 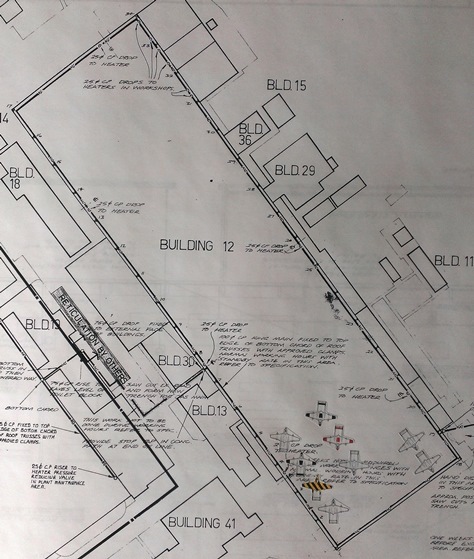 By chance, I say, as the location was chosen to suit the schedule for the remediation of the interior of the hangar.